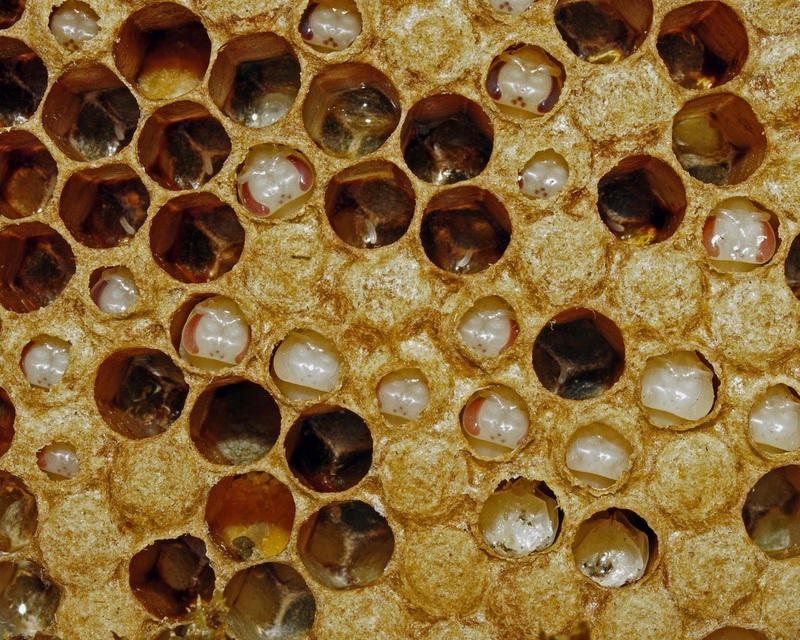 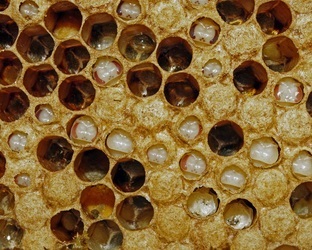 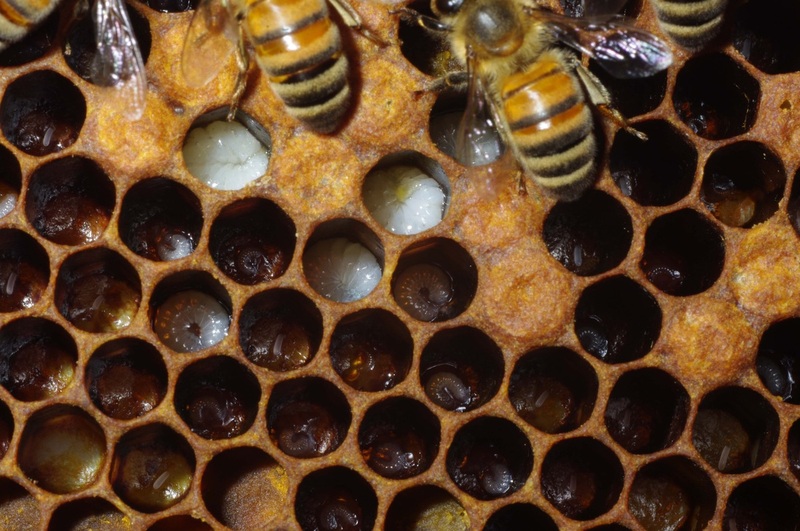 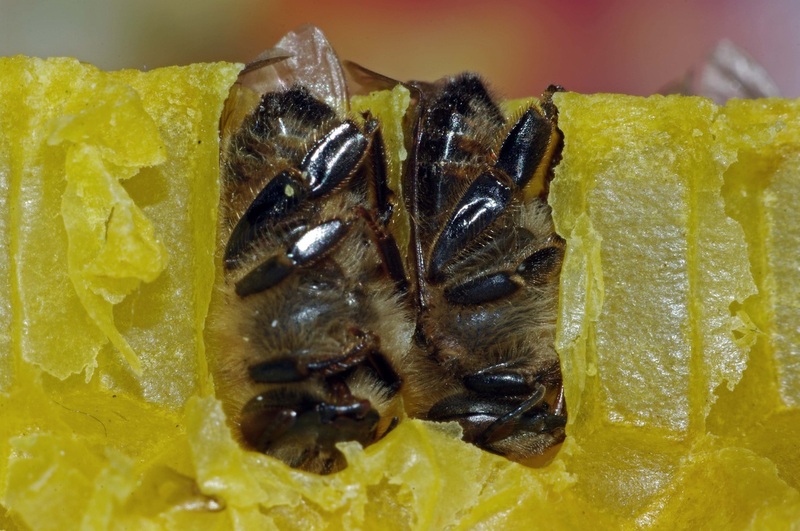 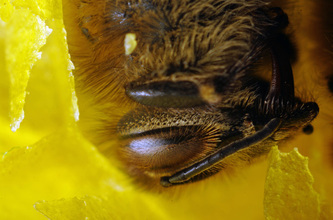 The first of the photos below picture the development of the worker honeybee from egg, to just emerged from the cell, and then to one with ragged wings near the end of its life. 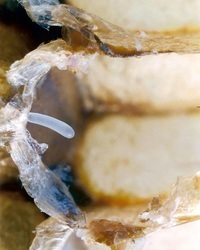 Workers hatch 21 days after the egg is laid. 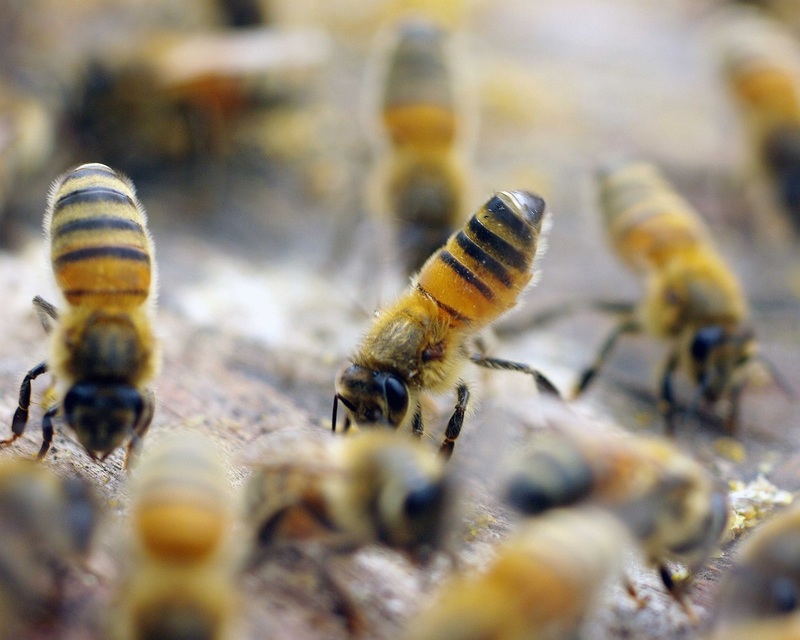 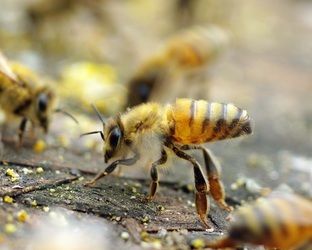 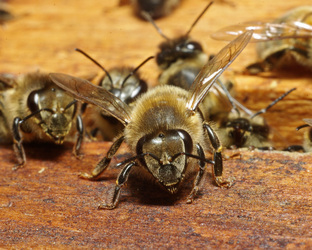 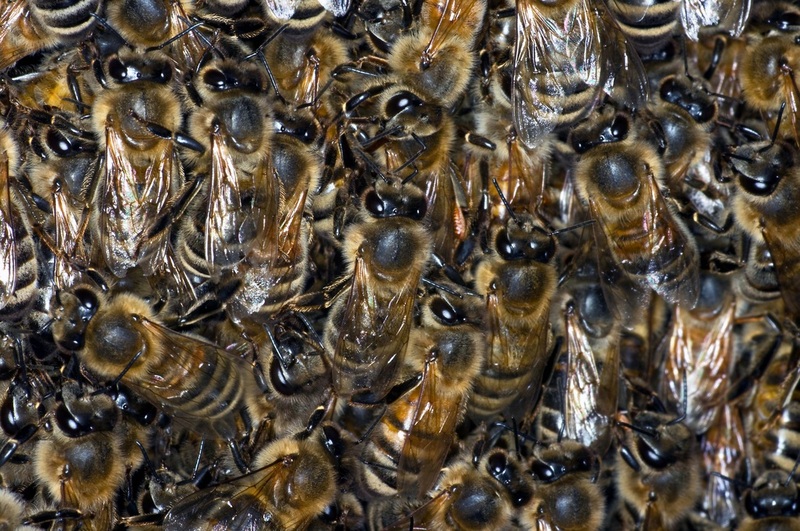 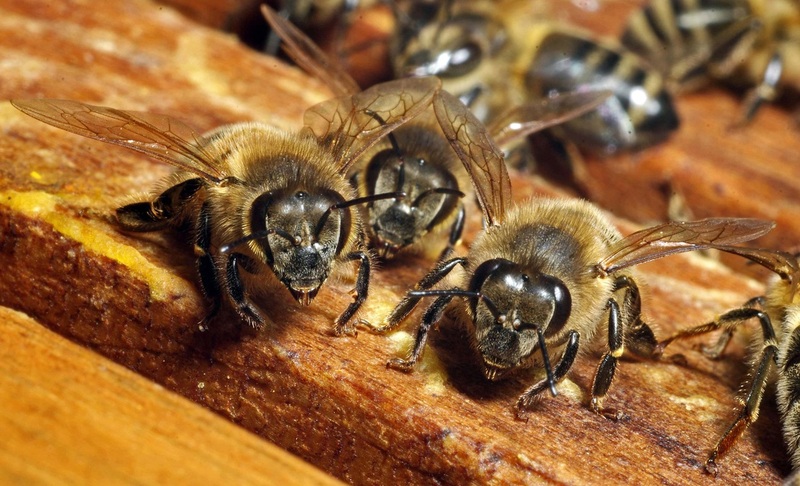 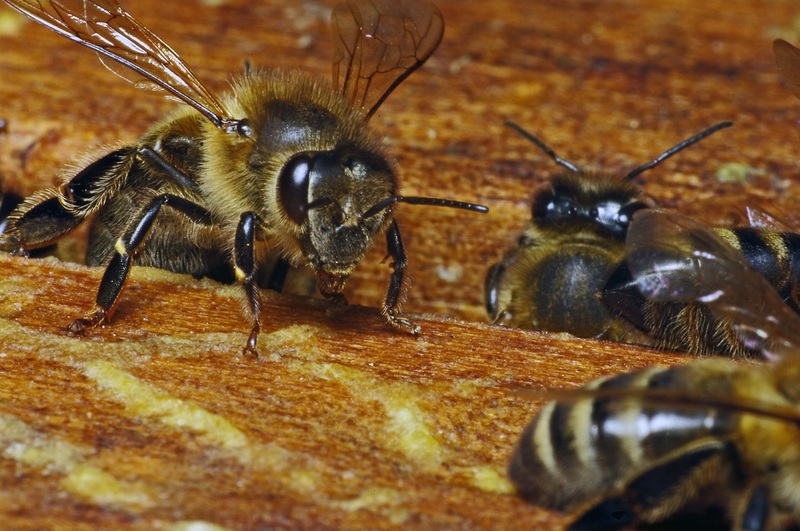 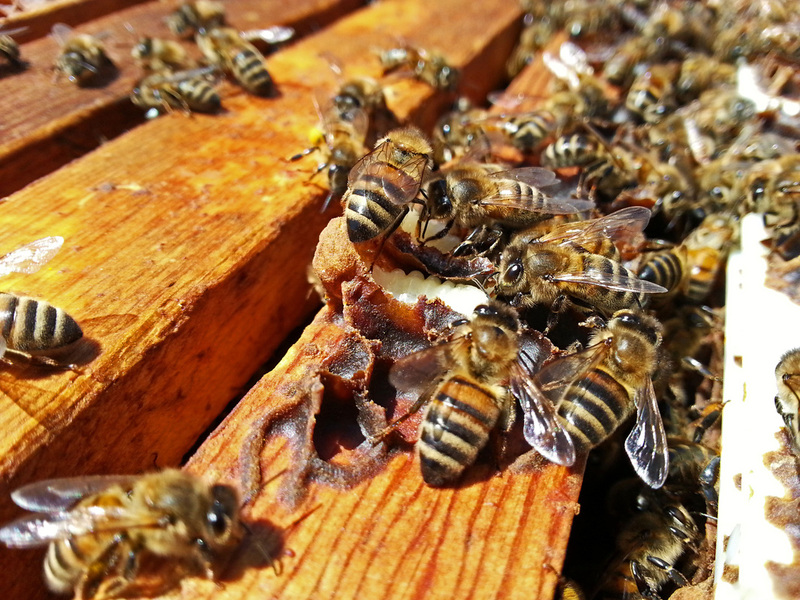 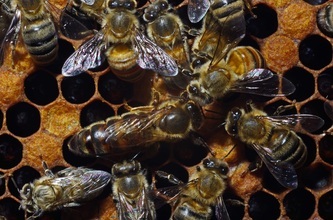 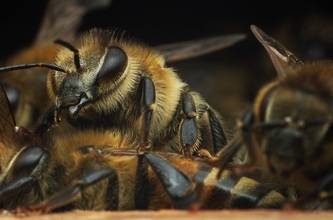 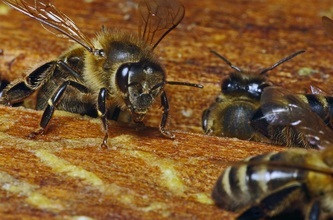 The workers are female and usually make up 95% of a functioning, healthy hive. 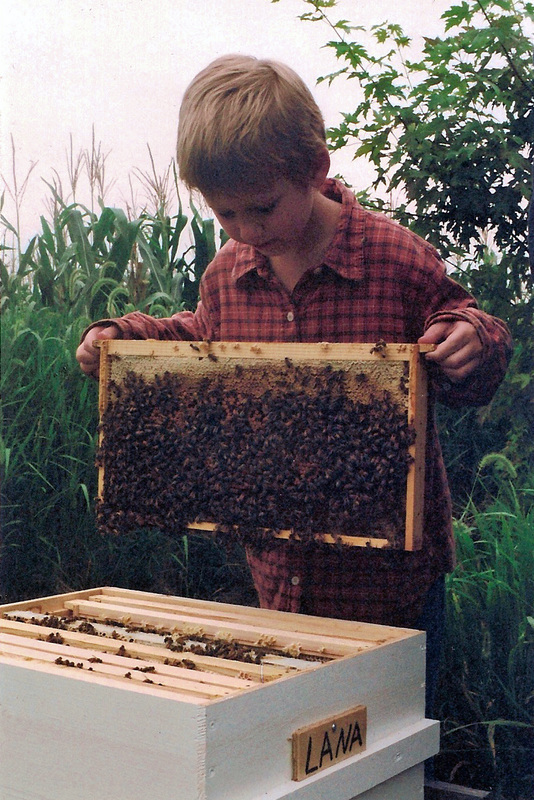 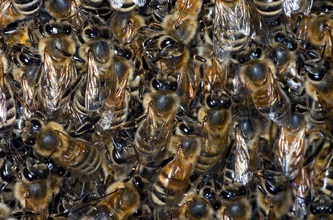 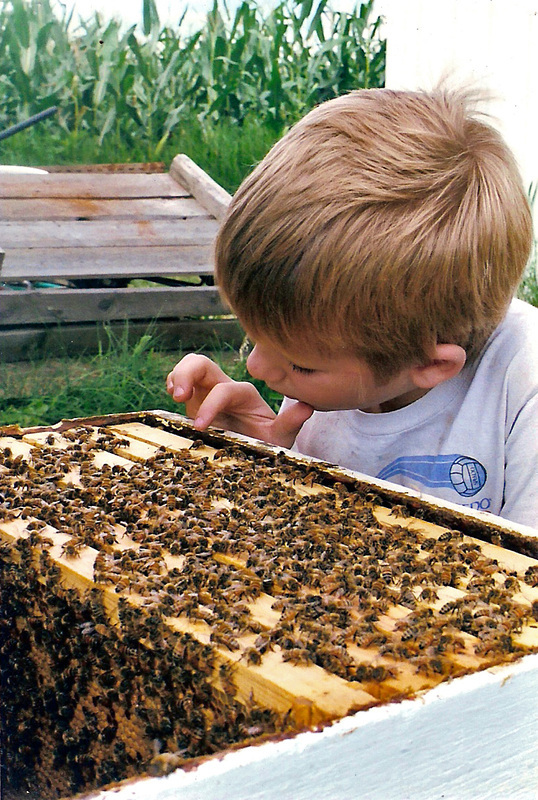 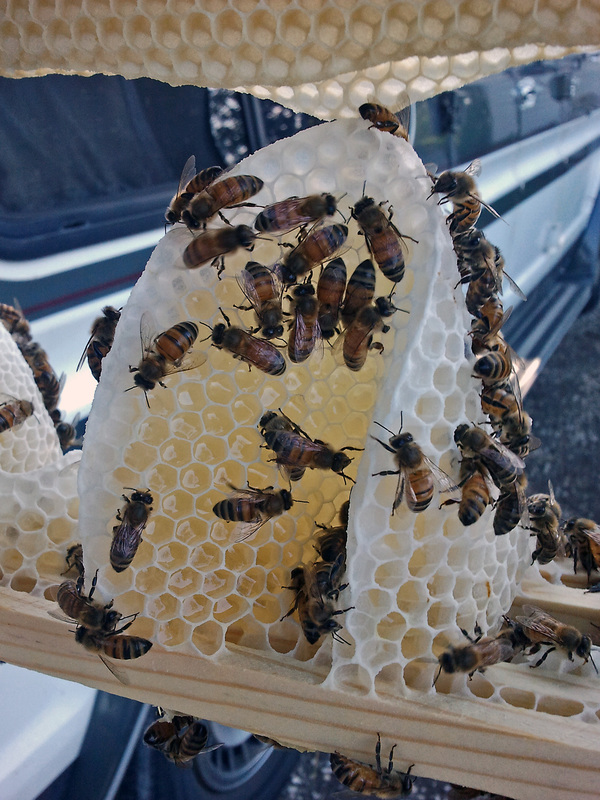 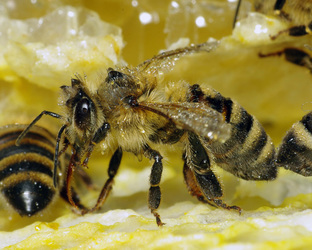 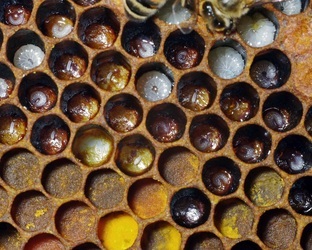 They are responsible for all of the work that goes on in and out of the hive-from the first 3 weeks of their life spent inside as house bees-cleaning, feeding, and building comb-to the rest of their life gathering of nectar and pollen for food, water for food and cooling, and tree sap for propolis production. In the summer they work themselves to death in about 6 weeks. 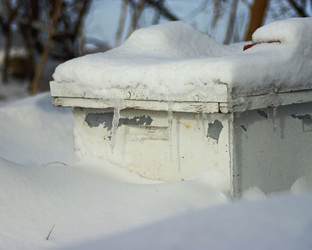 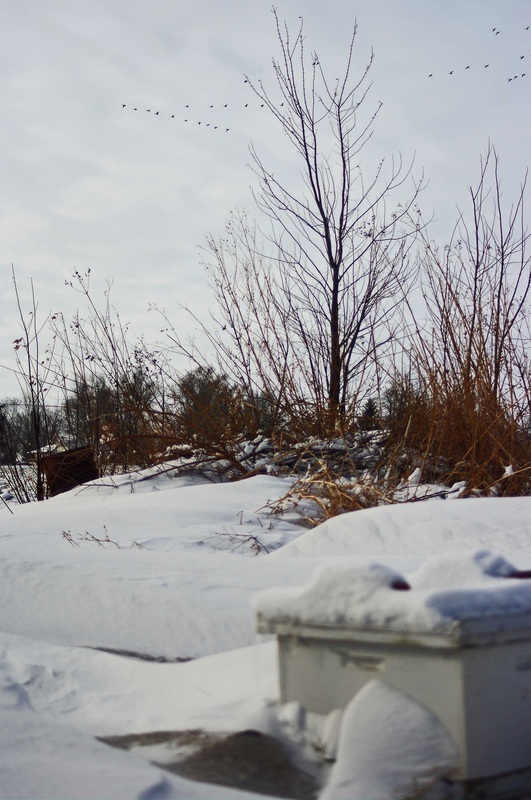 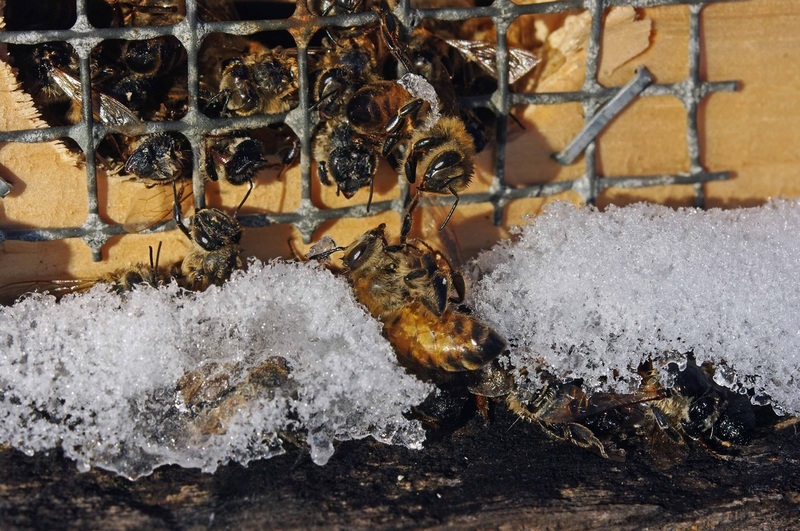 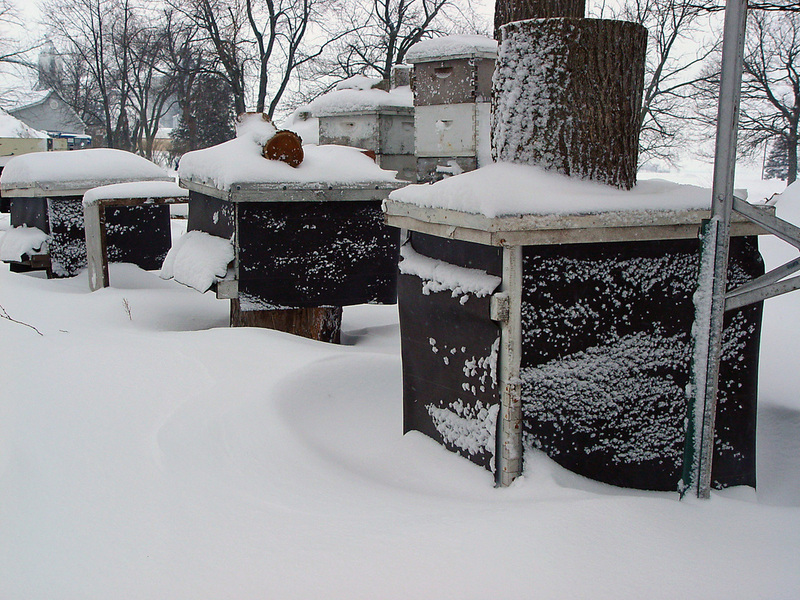 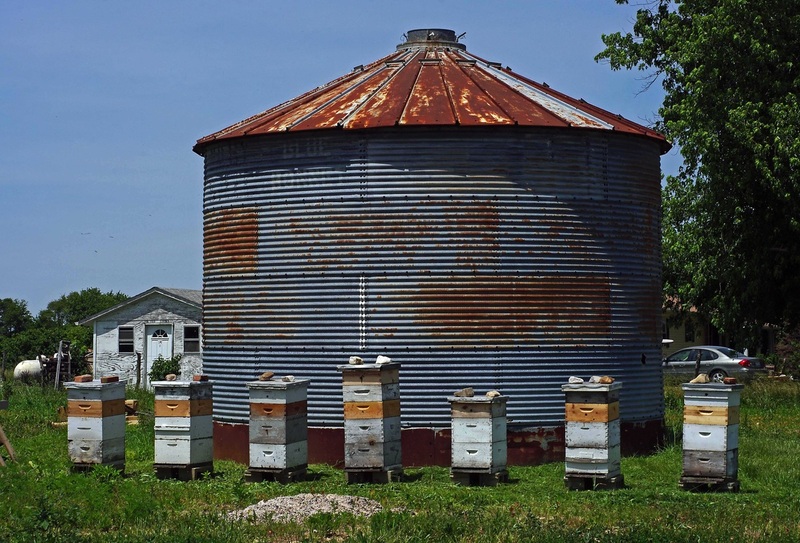 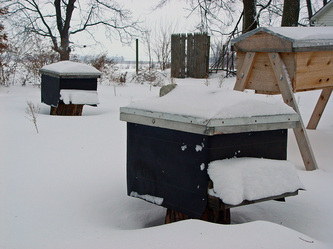 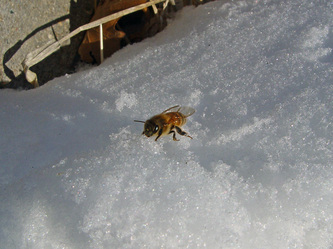 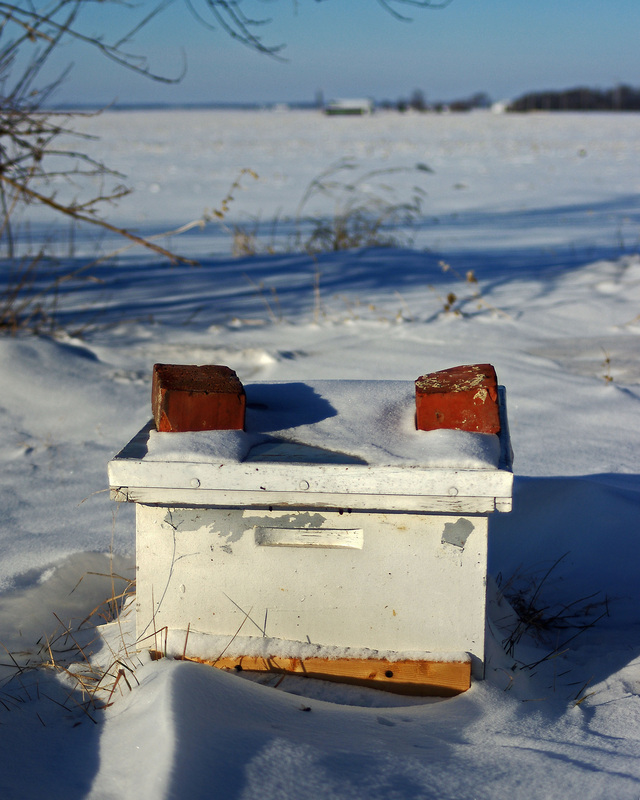 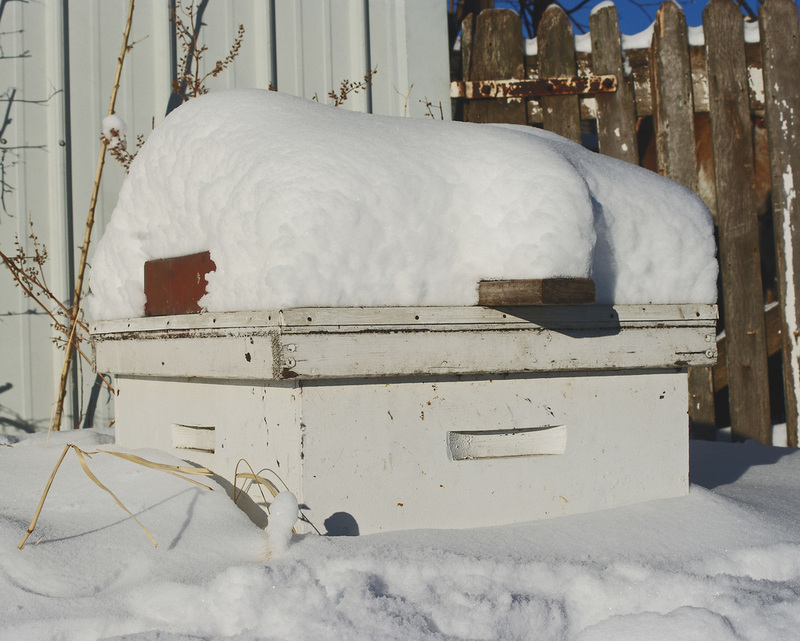 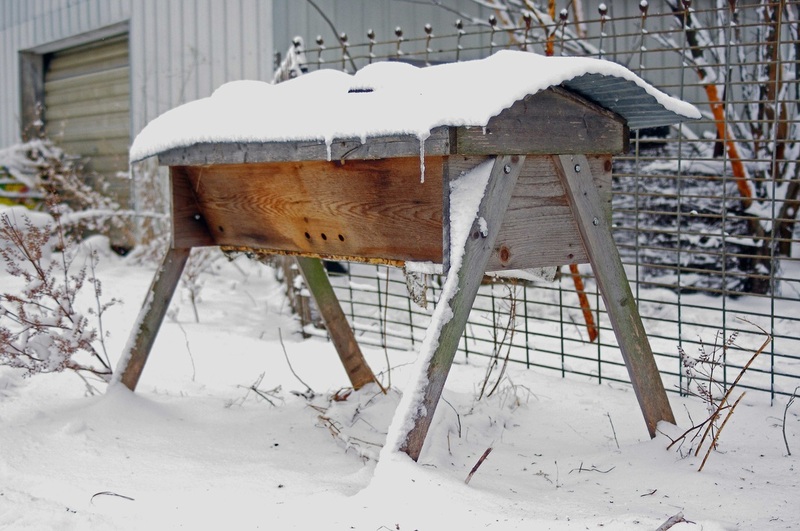 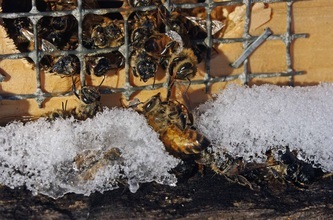 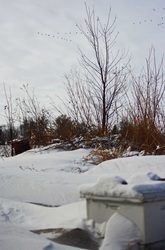 In the winter they will live 4-5 months due to reduced activity in the hive. 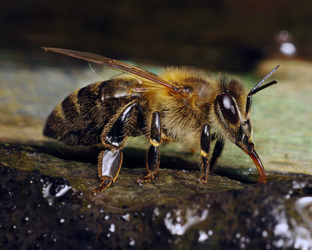 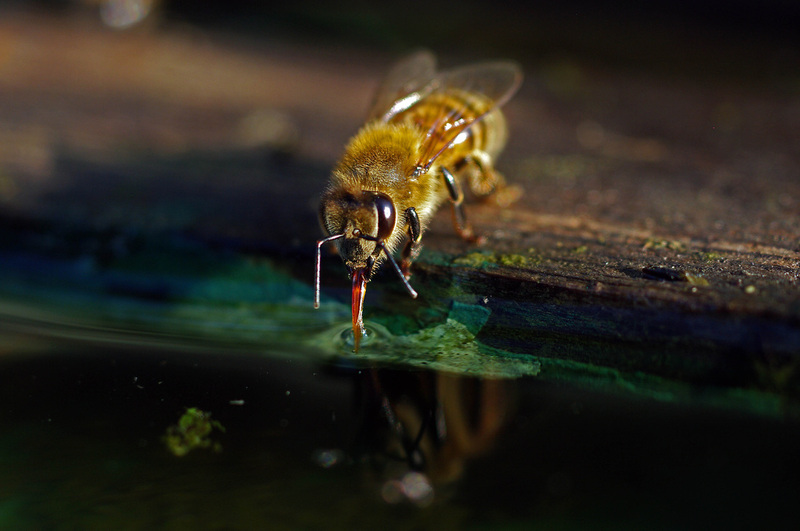 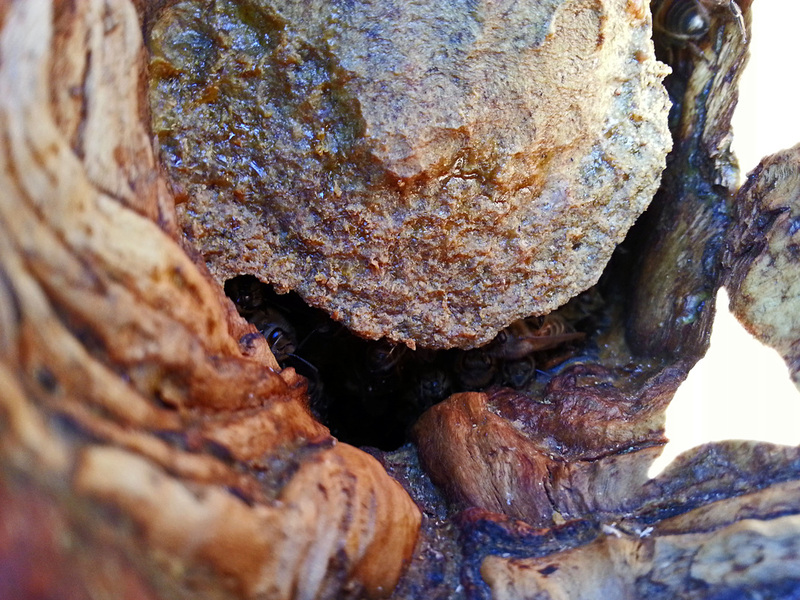 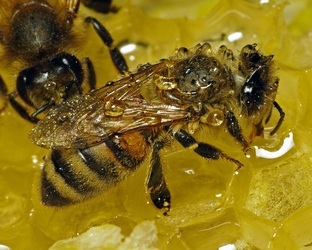 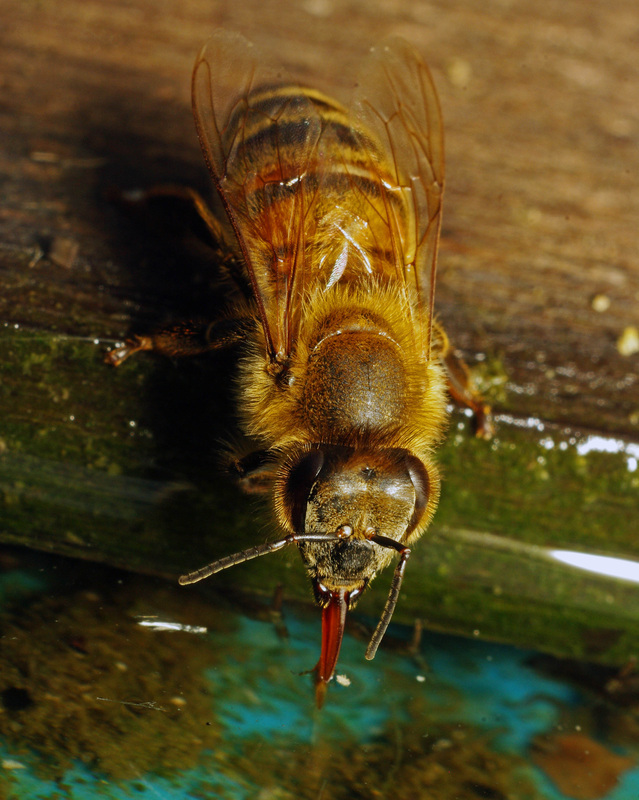 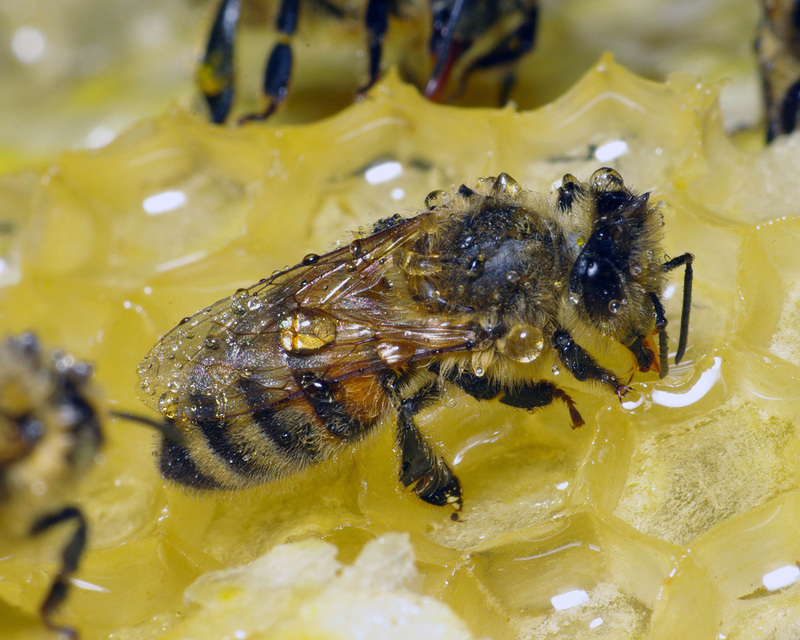 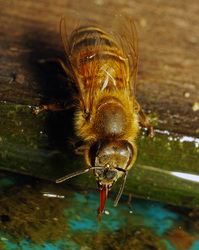 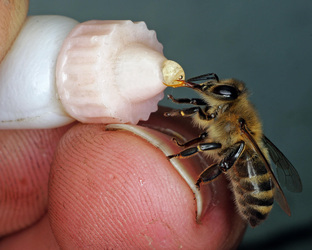 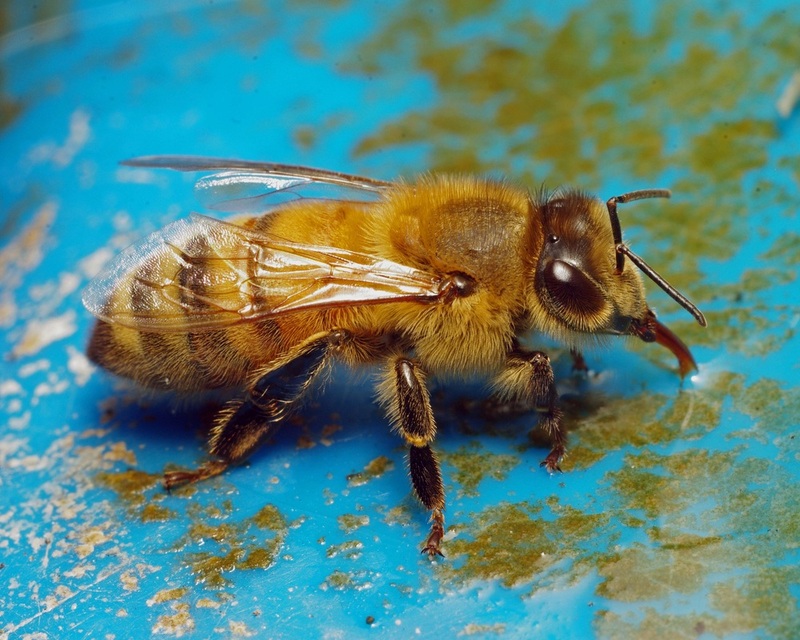 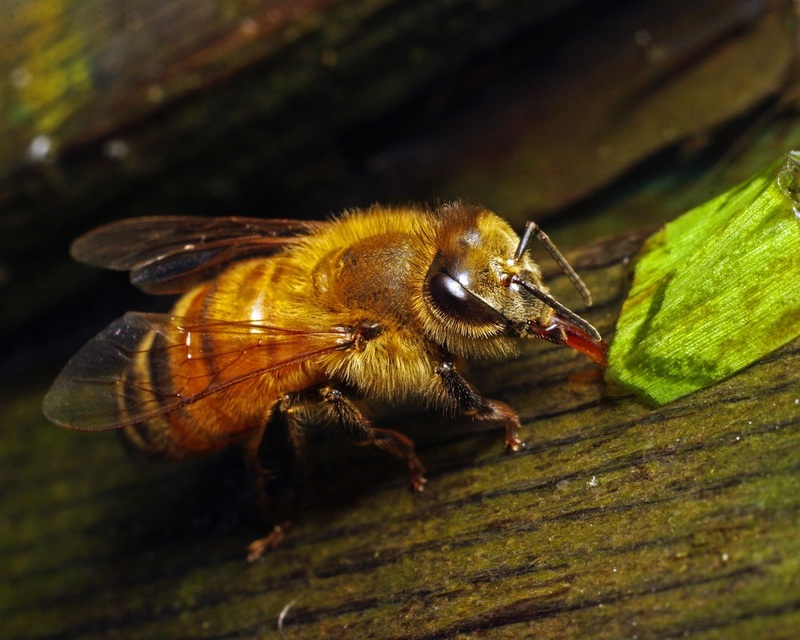 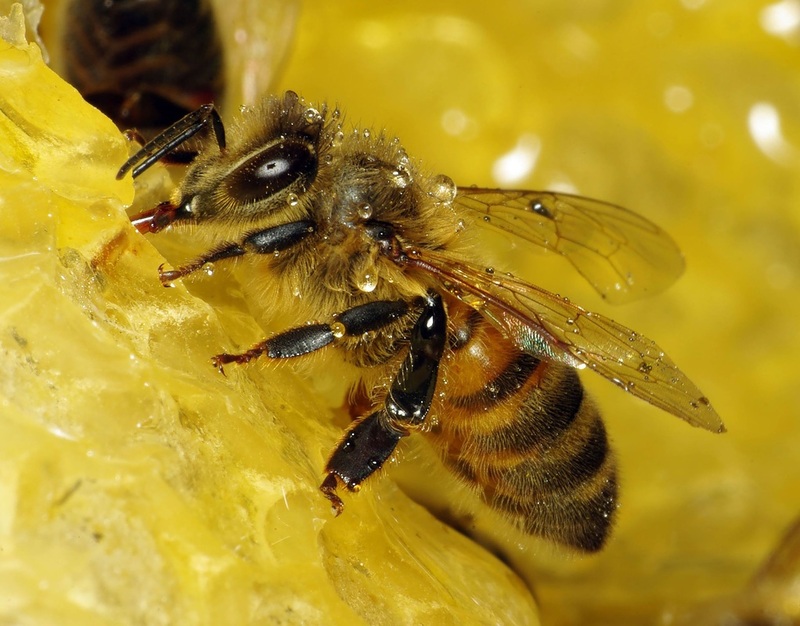 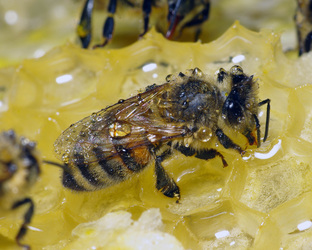 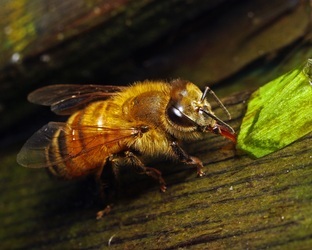 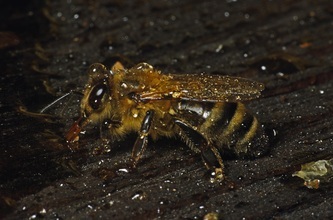 Video of honeybees being open fed sugar water. 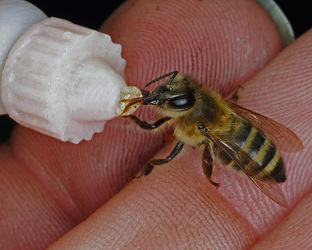 Don't really like feeding sugar water, but given the choice of that or dying bees-I'll feed the sugar water. 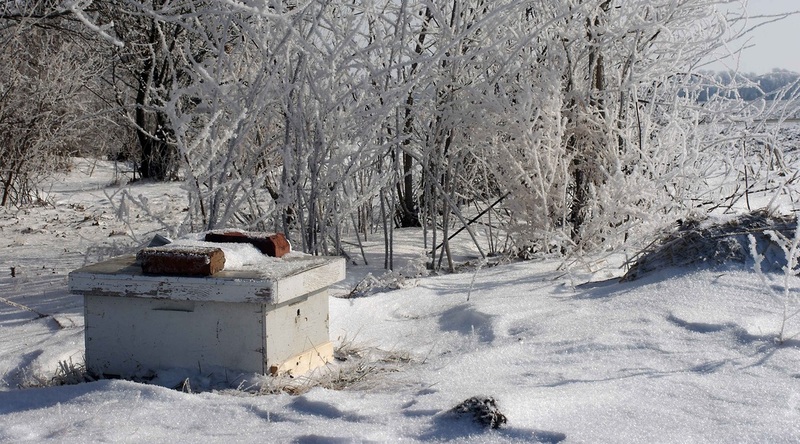 This video was shot after a cold, wet fall that left hives light on winter stores. 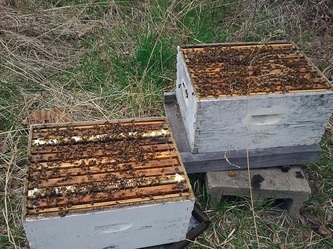 They needed a little boost in the spring. Video of orientation flights of honeybees. 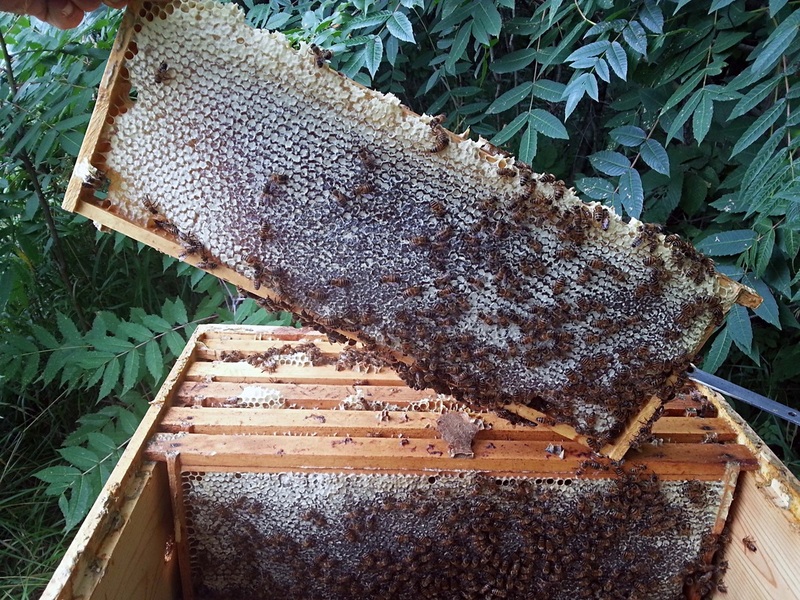 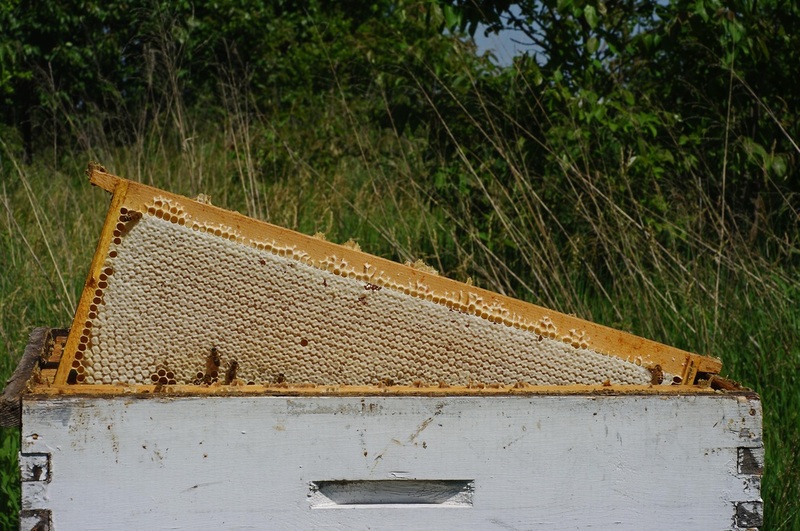 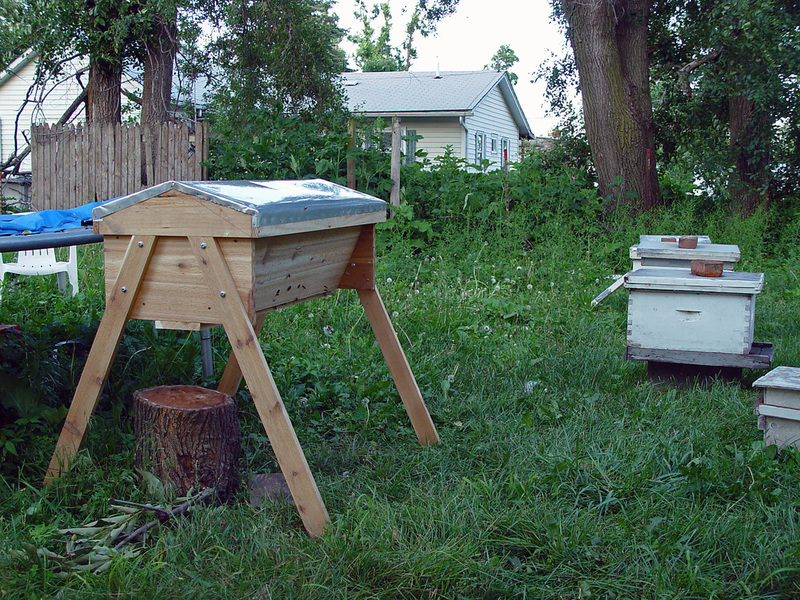 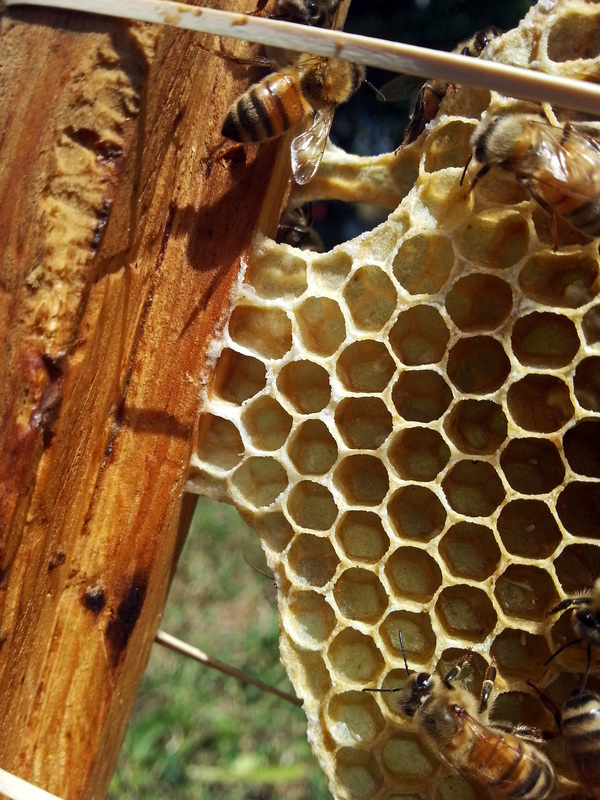 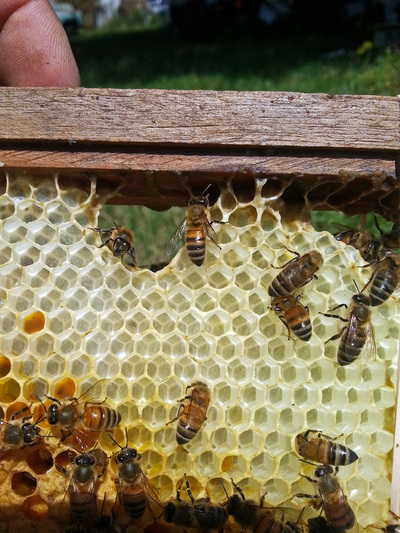 After spending their first 3 weeks in the hive doing house duties, they leave the hive to become foragers. 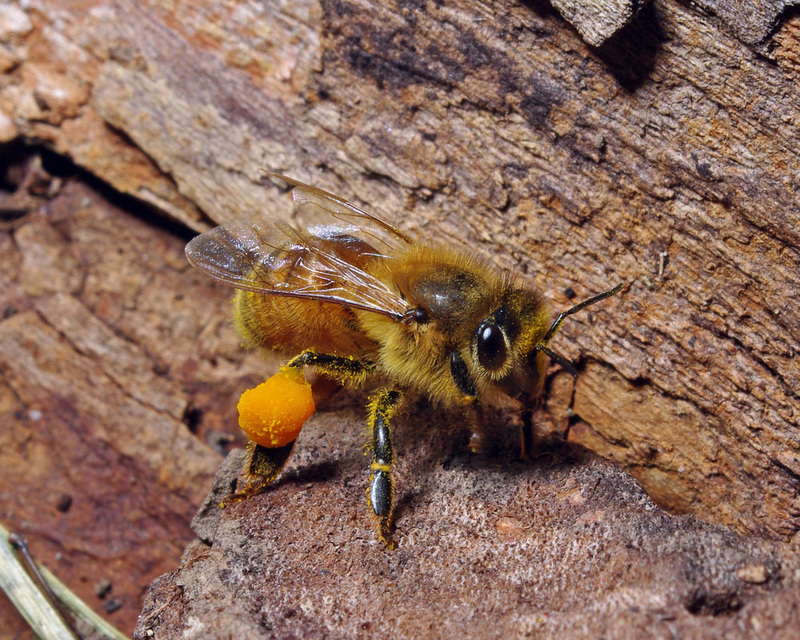 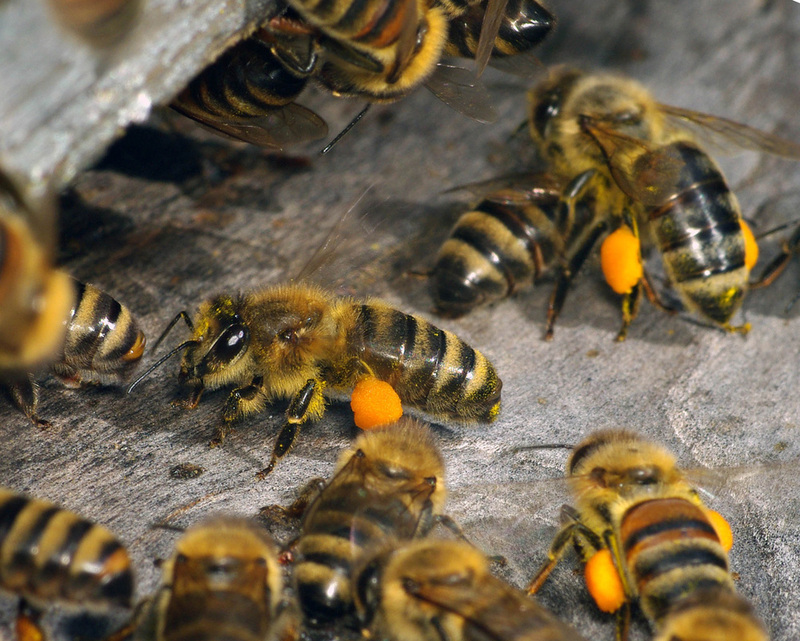 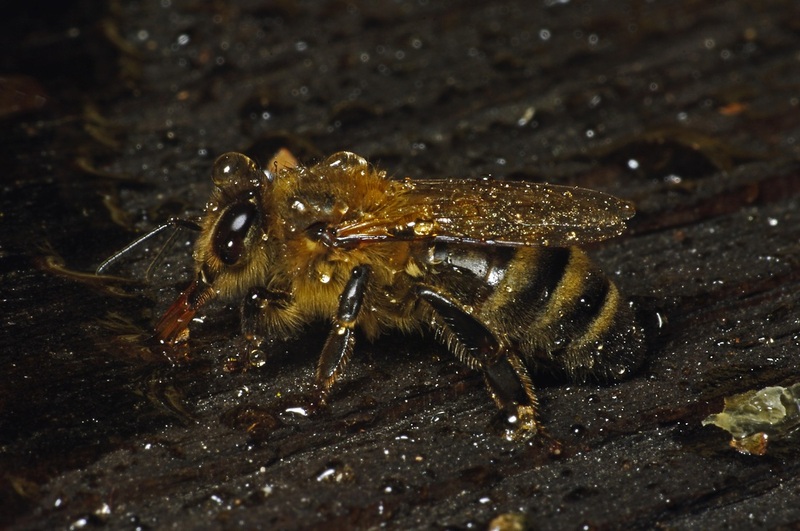 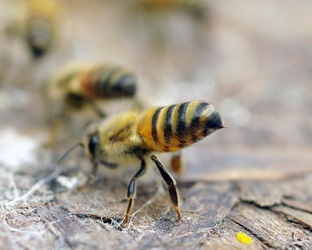 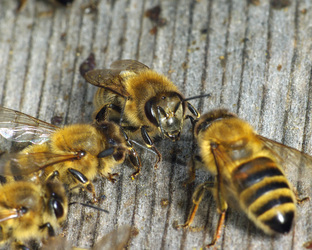 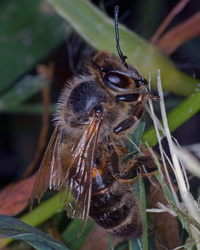 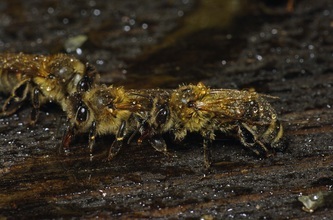 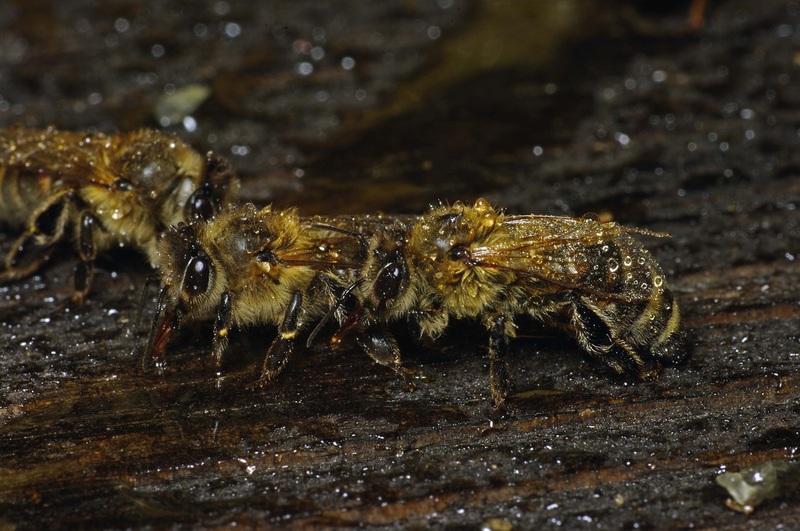 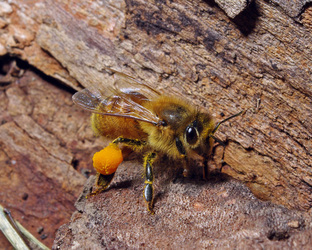 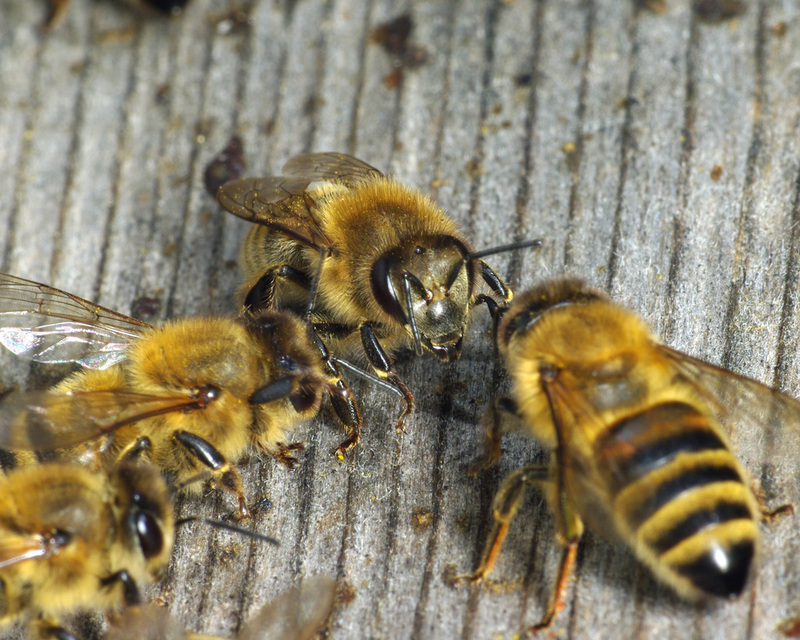 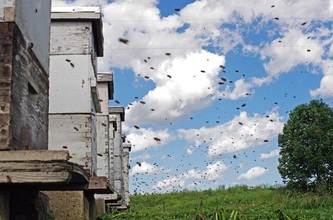 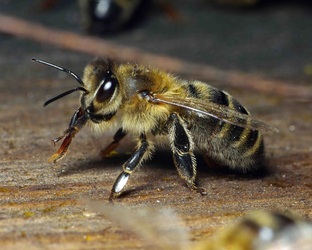 When they first leave they fly facing the hive for some time orienting to the location of the hive. 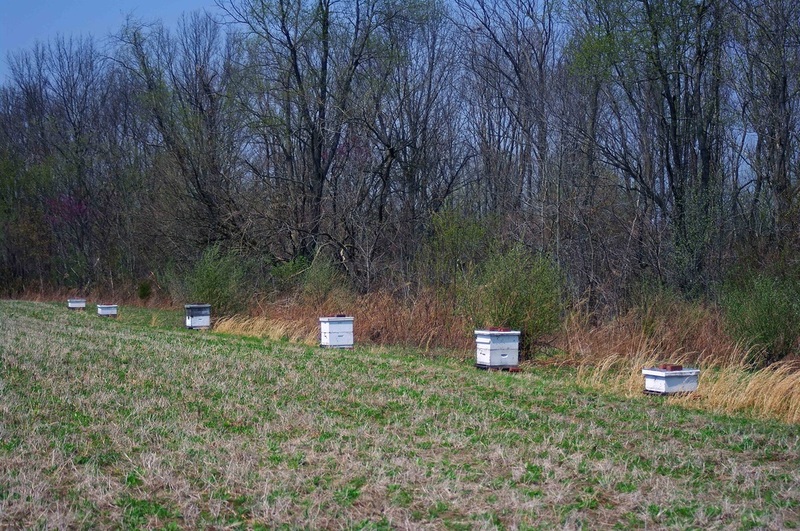 Their "GPS" is very accurate. 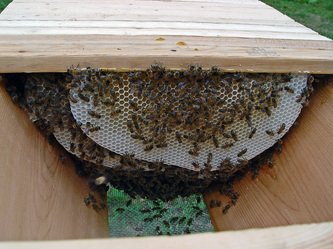 Something as simple as moving the entrance on the hive from the bottom to the top will confuse them. 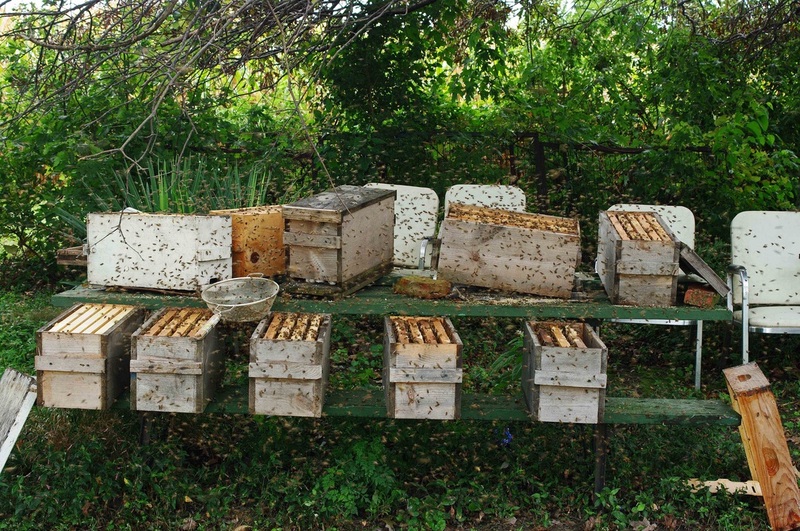 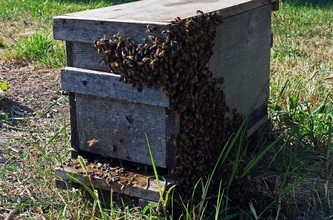 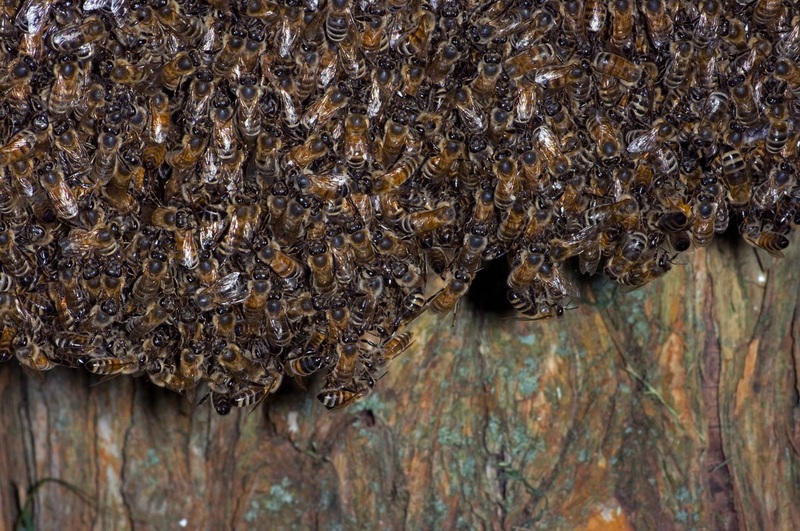 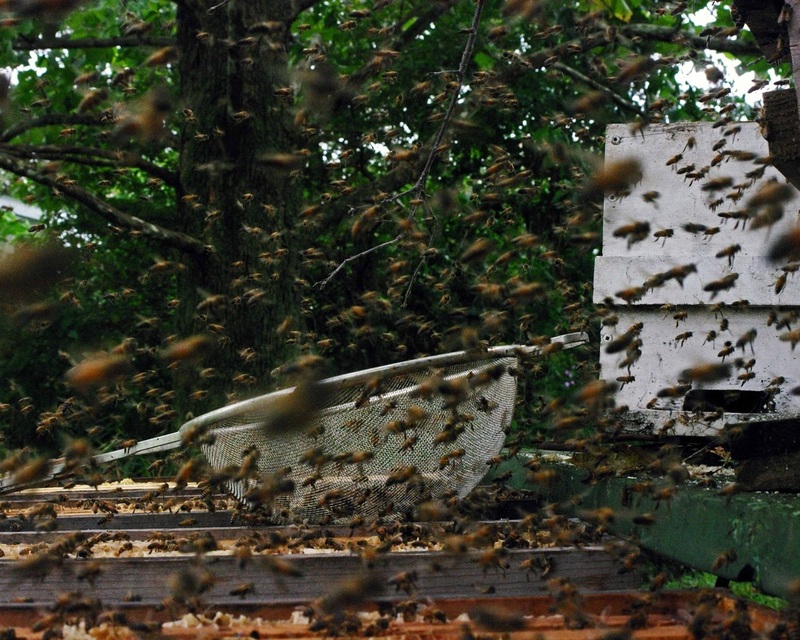 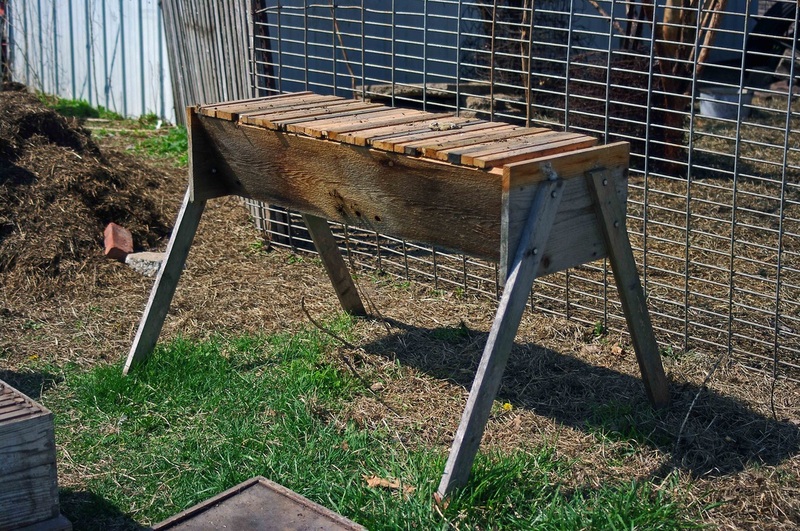 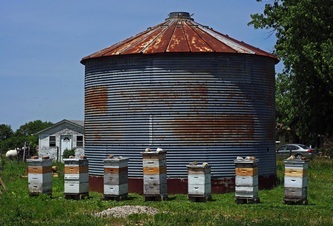 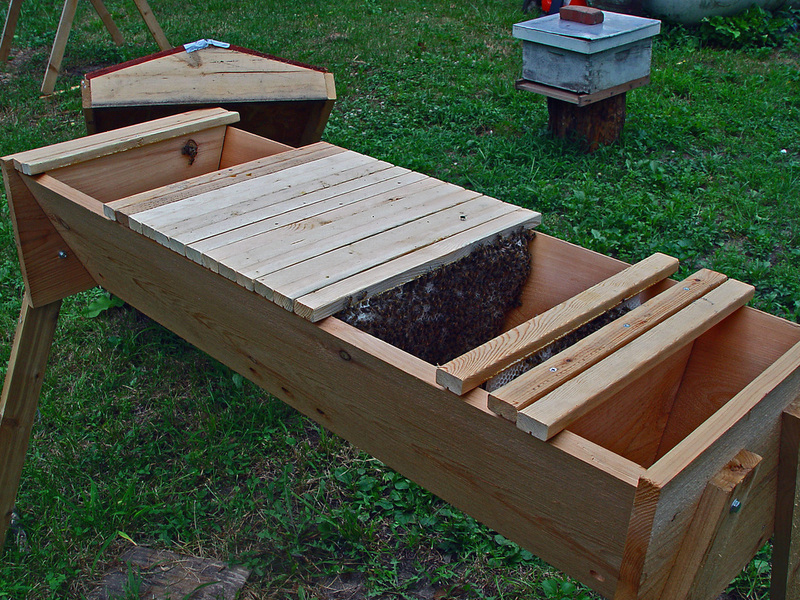 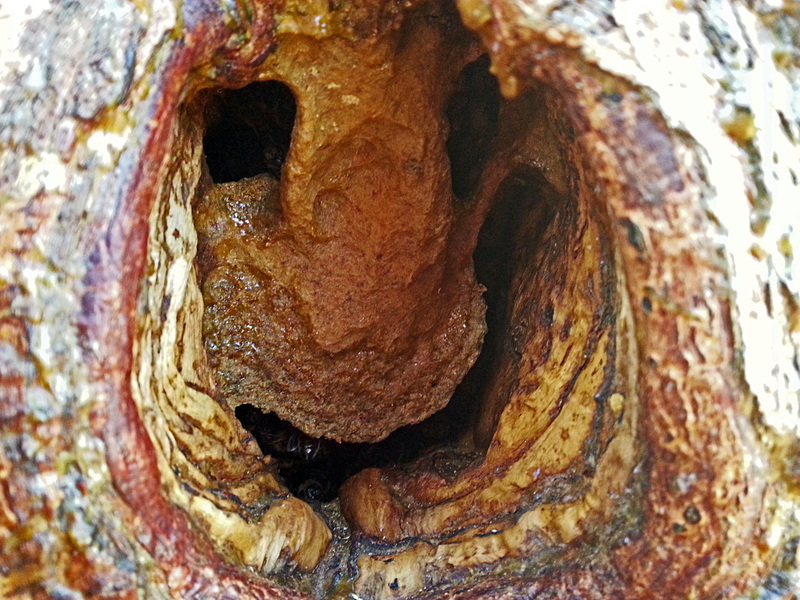 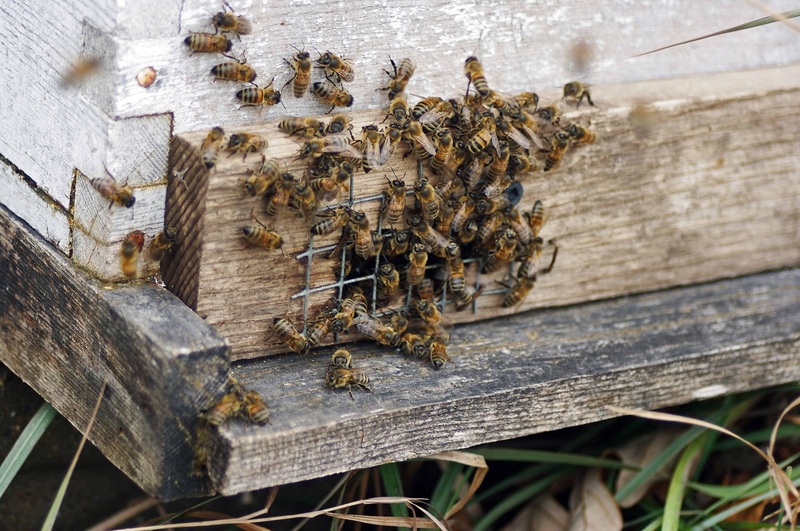 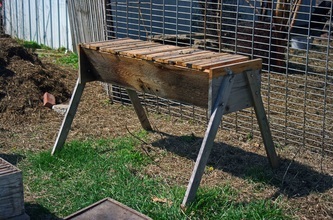 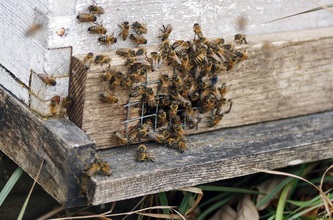 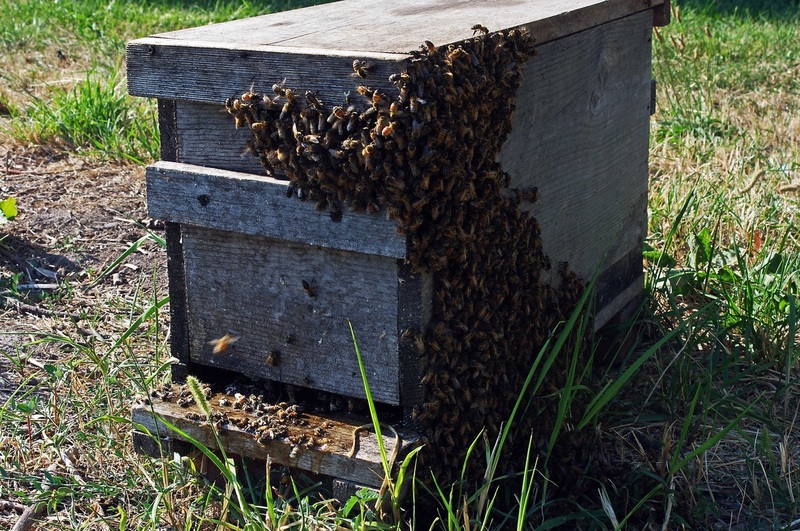 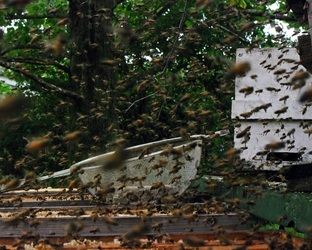 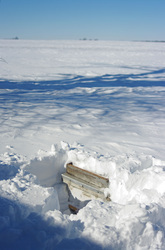 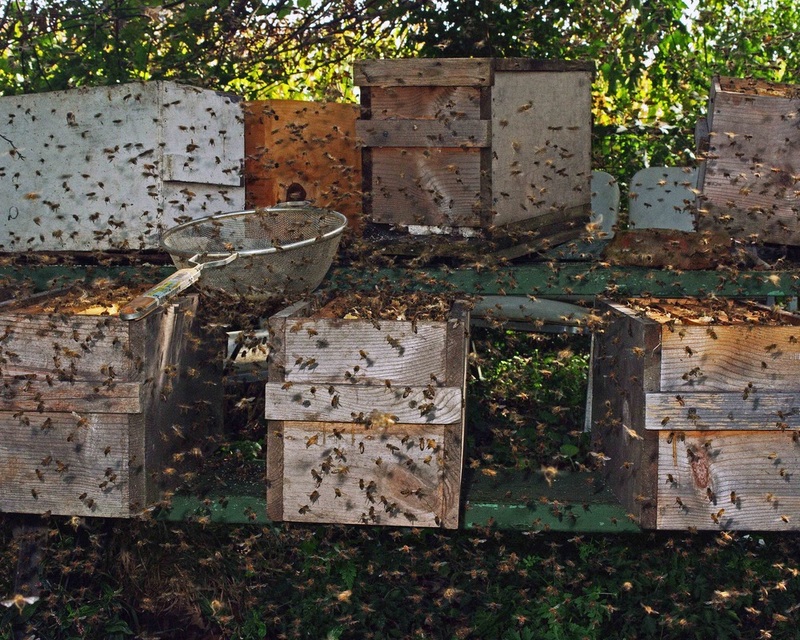 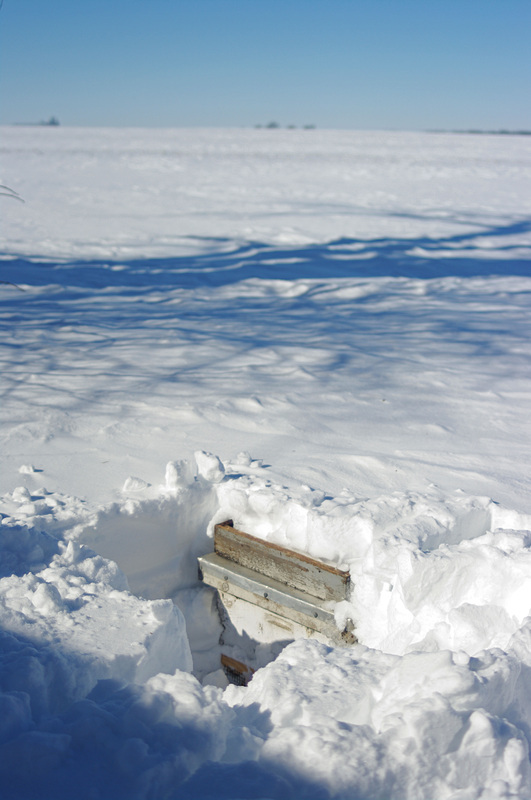 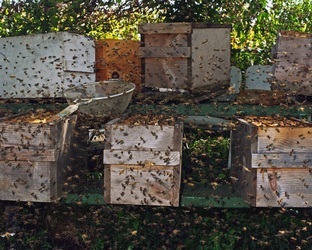 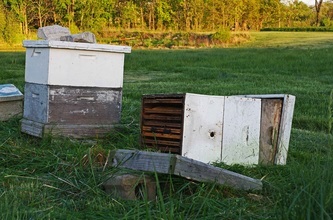 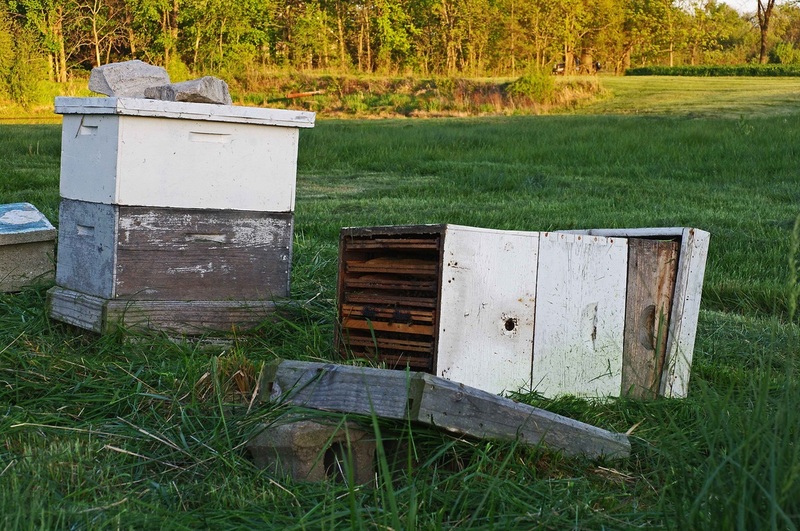 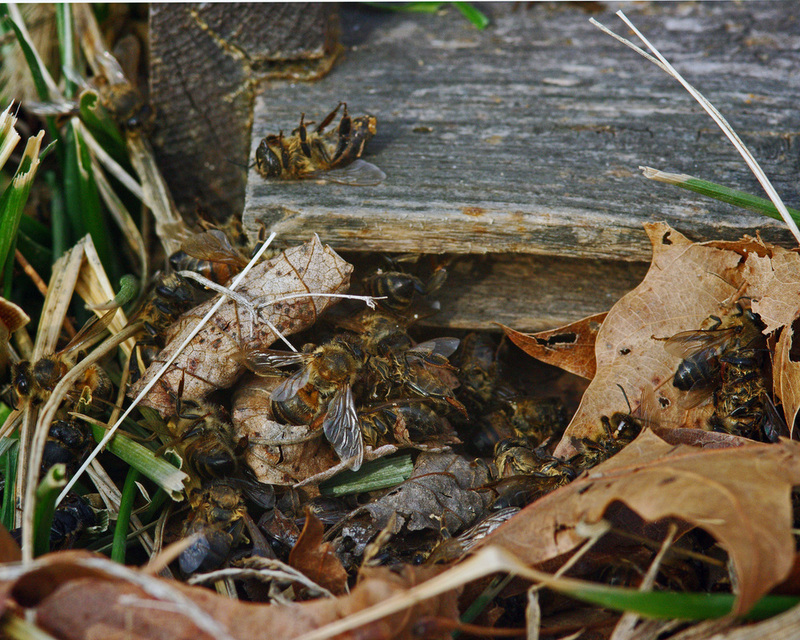 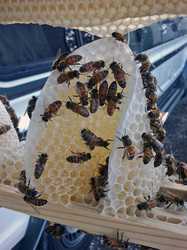 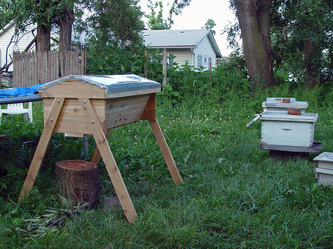 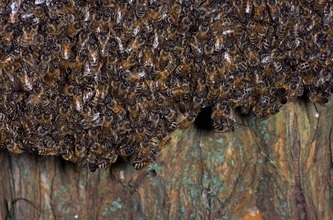 Move a hive a few feet and they will return to the original location. 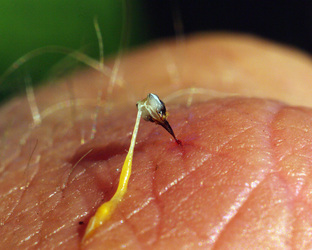 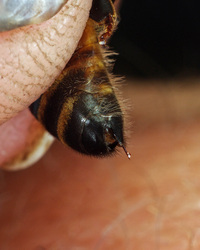 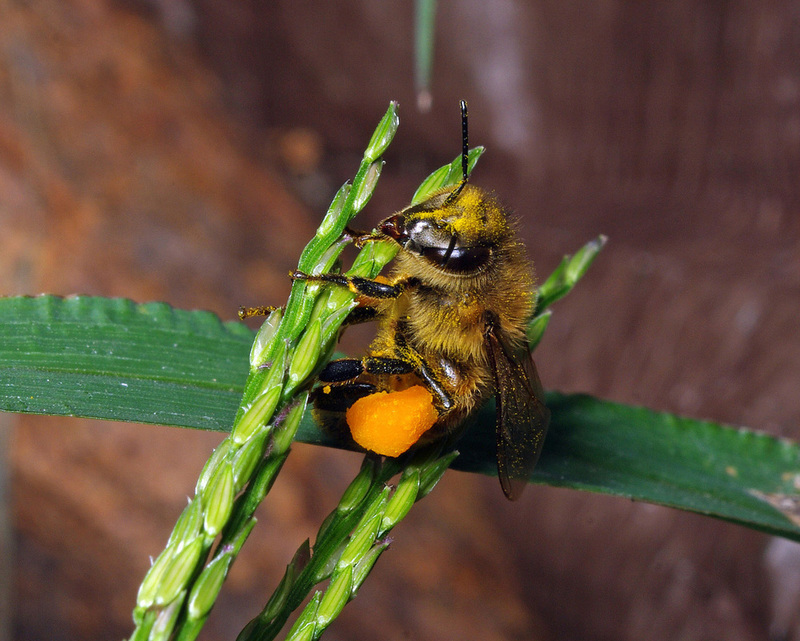 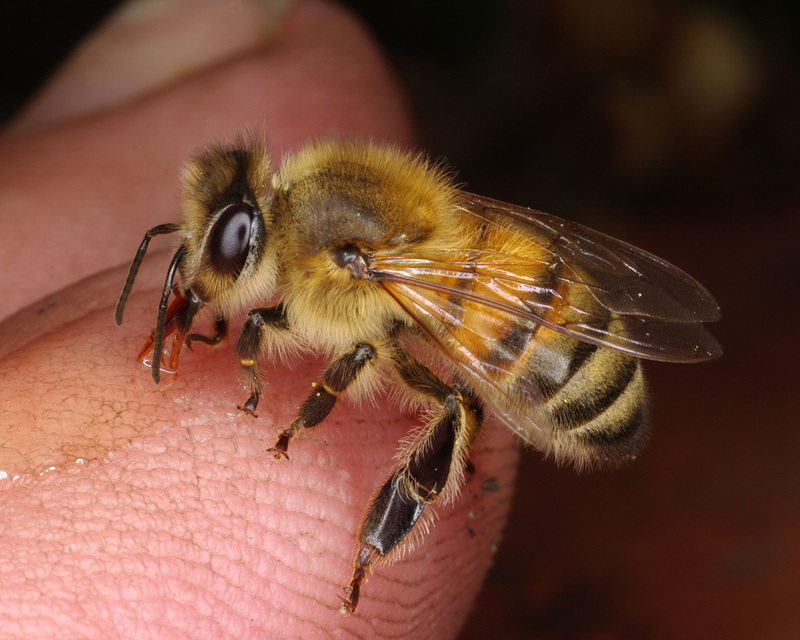 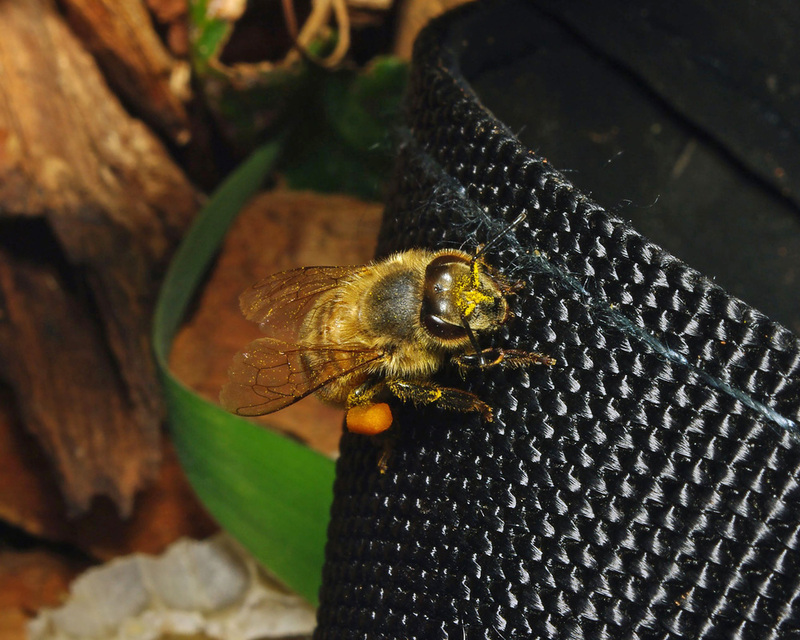 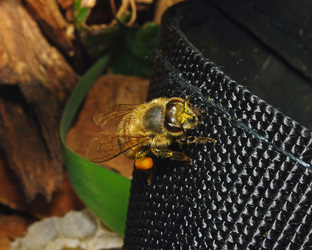 A couple of videos demonstrating very basic bee sting therapy. 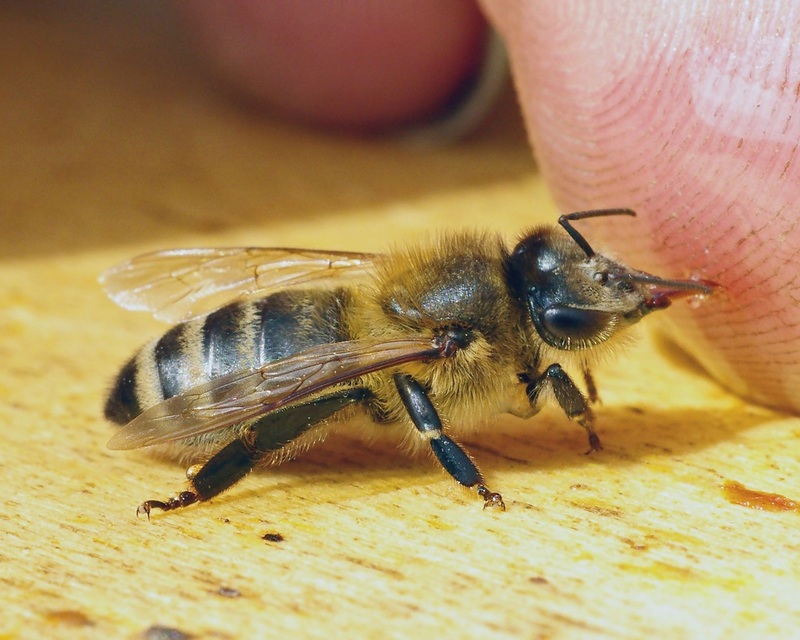 Short version of how I perform bee sting therapy. 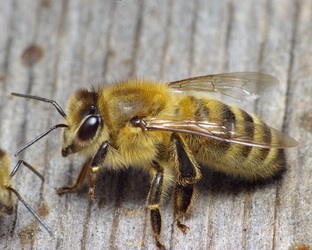 Have 2 takes. 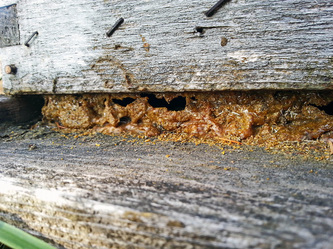 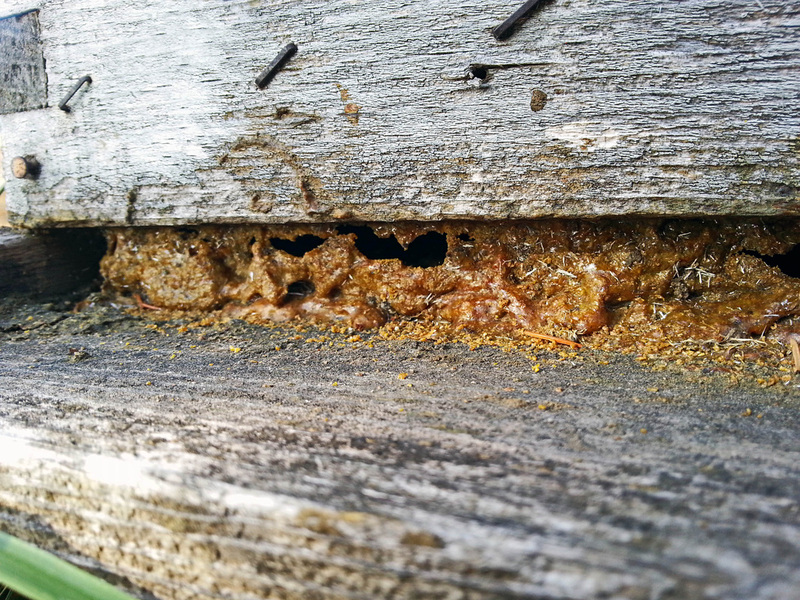 Wanted to show this one in particular so you could see how the bees reacted to my invasion (the scratching and knocking) of their hive. 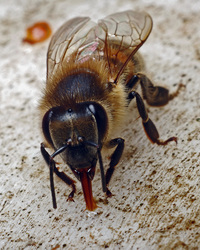 Some folks claim relief from rheumatoid arthritis and MS, among other conditions from the venom in the bee stings. 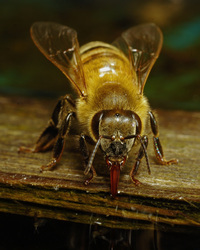 The venom stimulates the adrenal gland causing it to produce a natural cortisol.